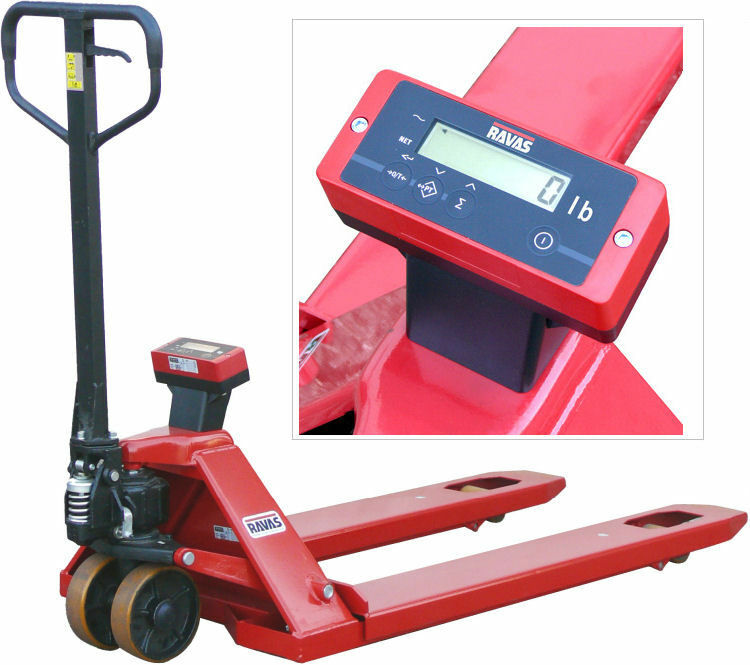 Thanks to the robust chassis and the power supply by four standard AA-batteries, this pallet truck scale combines an attractive price level with a good accuracy. The display is able to show both gross and net weights and calculate total weight per shipment. For checking incoming goods, avoiding overloads and determining shipping weights.